Abstract: NIH uses text mining technologies (https://report.nih.gov/rcdc/process.aspx) to produce its Categorical Spending reports (https://report.nih.gov/categorical_spending.aspx). Consequently NIH is keenly interested in advances in text mining technologies that would improve capabilities and utility. At its core, Watson is a robust implementation of a next generation technology for deriving facts and meanings from publications, data sets or other information sources. Watson “reads” documents and parses the text into keywords and sentence fragments in order to identify relationships among the different bits of information. 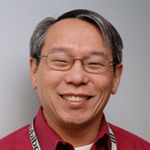 Bio: Richard Ikeda currently is the director of the Office of Research Information Systems (ORIS) in the NIH OD Office of Extramural Research. In this position, he oversees the operations of the NIH electronic Research Administration (including eRA’s IMPAC II and Commons systems), which support the mission-critical function of grants administration for NIH and other federal granting components. He also manages the ORIS Office of Data Quality, which is responsible for the integrity of the data stored in IMPAC II, and the Research, Condition, and Disease Categorization Program, which is responsible for categorizing NIH research activities. Prior to joining NIH in 1999 as an NIGMS program director, with a portfolio of research in the fields of enzymology and wound healing, Rick served on the faculty of the Department of Chemistry and Biochemistry at the Georgia Institute of Technology (Georgia Tech). He has a Ph.D. in Chemistry from the California Institute of Technology (Caltech).